Through his research over the last 30 years, Ilan Pappe’s investigations have challenged the Zionist historiography of the Nakba of 1948 and questioned the mythology surrounding the foundation of the Israeli state. As a lecturer at Haifa University, Pappe supported a student who researched the fate of villages around Haifa by conducting in-depth interviews with both Jews and Palestinians who had witnessed the occupations during 1948. The student’s thesis was picked up by a journalist and forced a response from the army brigade responsible for the deaths of over 200 villagers. The veterans decided to sue for libel and Pappe encountered the might of a state uniting to cover up uncomfortable truths. Unable to hold conferences or debates, he attempted to run a home university to educate fellow Israelis. Just as he felt he might be beginning to change perceptions, the 2006 Lebanon conflict occurred and any progress was washed away in a tide of jingoistic rhetoric. Unable to survive as a critical academic within Israel, Pappe accepted a post at Exeter University and now plays a significant role in arguing for an academic boycott of Israeli institutions. Pappe has contributed to the overturning of much of the mythology surrounding the beginnings of the state of Israel. This memoir explains why he can no longer carry out this role inside the country itself. First published five years ago this reissue brings together both parts of the story of Satrapi’s childhood and of her return to Iran. Satrapi’s adolescence was in some ways like many other girls growing up in the early 1980s – jumping around her bedroom singing, making friends and lovers, trying to establish who she is. But for Satrapi the question of identity becomes crucial. Sent out of Iran, during the confining years of the Islamic Revolution, she arrives in Germany at the age of 14. Descended from the last emperor of Iran and born to Marxist radicals, Satrapi draws herself as a lovely, precocious child with a vivid imagination. She talks to god and her grandmother as she tries to figure out what has happened as her world is turned upside down by the Islamic Revolution. Suddenly thrown into a world of strange customs and laws, Satrapi’s teenage rebellious nature hits out at the authorities around her. Her parents are distressed and decide that her adolescence would be better spent away from the religious strictness. 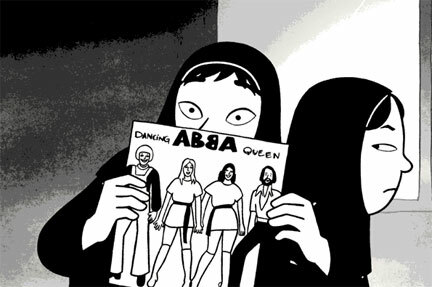 Ironically, the first place that Satrapi ends up in Germany is a boarding house run by nuns. Moving from place to place she does indeed manage to find drugs, boys and all the fun of being a teenager – but nowhere ever feels like home. The simplistic black and white style of the graphic novel belies a richness of emotion, creating an absorbing narrative. The award winning Bridge of the Golden Horn was published in German in 1998 and fortunately for English readers has recently been translated with a wonderful introduction from John Berger. Özdamar often uses her own life as a canvas for her narrative and there are many parallels here – arriving in Germany as a young woman in the 1960s from Turkey without a word of German and trudging back between the workers’ hostel and a radio valve factory. Her descriptions of learning German from the sounds of words and reading captions in newspapers have such a sharp authenticity. Her German writing has been noted for its “Turkish” style in the patterns of thought and speech. It is hard to know how much has survived translation, but there is unfamiliarity to the way the sentences run from one another smoothly and swirl around the scenes and the characters. The feeling of being a young woman surrounded by an unfamiliar world while at the same time discovering her social, political and sexual liberation is captured superbly. While many of the people populating the novel are described in a nuanced manner, not through physical description but through their peculiar actions or mannerisms, other familiar characters appear. Salvador Allende and Richard Nixon hover in the background, Lenin’s State and Revolution makes its mark and the communist hostel warden introduces Dostoyevsky, Gorky, Jack London, Tolstoy, Joyce, Sartre and a woman, Rosa Luxemburg. The Vietnam War provides a focus for discovering the vileness of US imperialism as our nameless protagonist takes part in protests in Berlin and Paris. She discovers the political debates taking place in the Workers’ Association and begins to take acting lessons too. The acting takes us away from Germany on a freedom fling with a drama troupe into Turkish delight and delirium, where the next coup d’état is always just around the corner. Learning the necessity to lie low, the journey is made through Kurdish mountain villages to the Marmarasea. A deft storyteller, Özdamar immerses you in these tales, reminding you how it feels when everything is new and everything is possible. When I was 18 I went to Israel and I planted a tree in the Jerusalem “forest”. The tree wasn’t indigenous and the forest was a recent human construction. I have a certificate from the Jewish National Fund (JNF) that states that I helped make Israel green. The JNF failed to mention that the forest was the site of the Palestinian village of Ayn al-Zaytun, many of whose inhabitants were massacred by Jewish forces in May 1948. 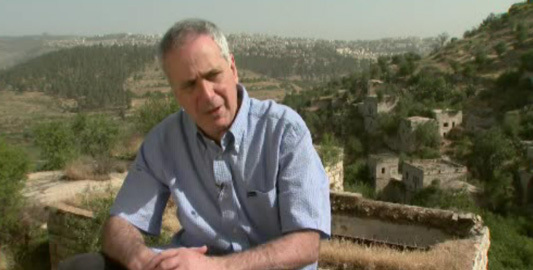 Without historians like Ilan Pappe the existence of this village would be confined to those who survived the expulsion. Israel’s axioms for peace negotiations claim that the present conflict began in 1967, when the West Bank and Gaza Strip were annexed during the Six Day War and that therefore the solution lies in an agreement that determines the future status of the West Bank and the Gaza Strip. Furthermore nothing that happened before 1967 will ever be negotiable. This intends to remove the issue of refugees and the event known as the Nakbah (catastrophe) by Palestinians from any peace negotiations. In his latest work Pappe takes us step by step through the atrocities of 1947 and 1948. There is also an examination of how this history has been covered up and how ideological motivation of the time continues to drive the Zionist leadership in Israel today to continue the unfinished project of the Nakbah. Using quotes relating to the ethnic cleansing operations in Yugoslavia in the 1990s the reader is able to draw very direct comparisons to the process that took place in Palestine. A widely accepted definition states that “ethnic cleansing is an effort to render an ethnically mixed country homogenous by expelling a particular group of people and turning them into refugees while demolishing the homes they were driven out from”. Further, it doesn’t matter how the expulsion occurs, whether it is through violence or if people leave because they are worried or frightened and not allowed to come back. 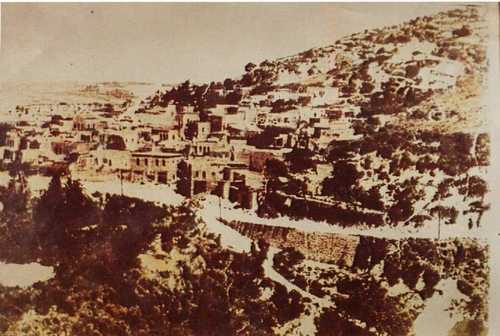 During the 1930s a database was collected of the villages in Palestine including details of topography, quality of land, main sources of income, socio-political composition, and the age of individual men. After riots in the late 1930s, in which Jewish colonial settlers were attacked, lists of individuals involved were added. These village files formed part of the intelligence used during what became known as Plan D (or Dalet). By 15 May 1948, the day the state of Israel was declared, half of the Palestinian population had been dispossessed and had fled. And despite truces and ceasefires the operation continued in earnest into 1949 and in one way or another has not stopped since. The key conclusion drawn in this book is that what happened in 1948 continues to happen today. The project of turning Israel into an exclusive Jewish state is not finished. The building of the wall is the latest attempt to “render an ethnically mixed country homogenous”. Pappe’s book is a vital weapon in exposing the nature of the nakbah and its legacy. On paper this shouldn’t work. David Baddiel, who worked with Frank Skinner on the dubious 1990s TV show Fantasy Football League, has written this comedic satire about the consequences of a British-born Pakistani Muslim, Mahmud, discovering that he was adopted and his birth name is Solly Shimshillwitz. Mahmud finds his dying father in a Jewish care home but his access is barred by Matt Lucas’s devout rabbi, who insists he must demonstrate some Jewishness before he can see his father. At the same time his son’s potential wife has a new stepfather, Arshad Al-Masri, who wants to ensure that his stepdaughter is marrying into a family of “proper” muslims. Omid Djalili, the kind of comedian who can reduce you to laughter with the raise of an eyebrow, recently played Fagin in the stage production of Oliver, so is no stranger to the idea that Jews are not that different to other cultures originating from the same part of the world. 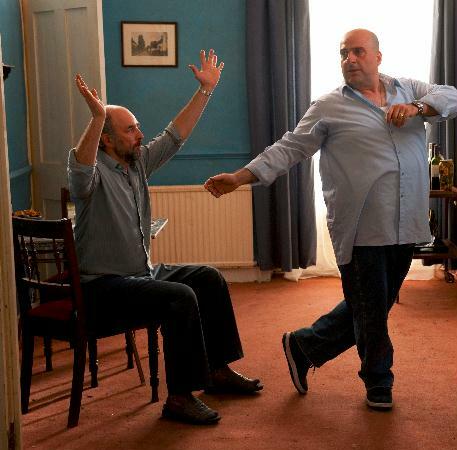 He plays this comedy of recognition superbly alongside Richard Schiff’s American-born London cabbie, Lenny, who teaches him how to say Oy vey, a smattering of Yiddish and that Israeli Jews aren’t real Jews because they have no angst. Israel is the central tension used in the plot. A pro-Palestinian rally where Mahmud finds himself the centre of attention is the key device for cementing Mahmud’s confusion. It seems that Mahmud can’t be Jewish unless he accepts Zionist ideology. Being a light-hearted comedy this is treated simplistically and never points to the real dilemma that many Jews face by being pressured to support a country that is racist in their name. The key protagonists are ordinary folk who happen to have a faith background but aren’t particularly devout. Unusually, the comedy doesn’t rely on attempts to assimilate into a dominant culture – as occurs in East is East or Bend it Like Beckham – so our characters are settled in their identities. While based on stereotypes, the religious leaders also pull them apart a little. Mahmud’s imam assumes his big secret is that he’s gay and goes on to explain that despite what is formally written in Islamic scripture, it’s actually alright. For anyone familiar with Jewish or Muslim British culture this comedy should raise a few smiles. Aside from the cartoon depiction of the villain of the piece, Al-Masri, and his supporters, the characters are painted genuinely and will do much to disrupt the standard depiction of all Muslims as terrorists and religious fundamentalists and goes to show that most of us have more that unites than divides us. German by birth and of Turkish origin, director Fatih Akin has coherently and beautifully squeezed six big lives into a mosaic that connects Bremen, Istanbul, Hamburg and Trabzon in his latest film, The Edge of Heaven. Three-dimensional characters shot in wonderfully tangible ways make this film a quiet emotional ride. A short way into the film, before we have even been introduced to her, Yeter’s death is announced. Yeter, a prostitute who sends money home to her daughter in Turkey, moves in with one of her clients, the elderly Ali. His son Nejat is slightly horrified by this change in living arrangements, but warms to Yeter. After Yeter’s death Nejat moves to Istanbul to try and track down Ayten, Yeter’s daughter. And so “a Turkish professor of German from Germany ends up in a German bookshop in Turkey” – a symbolic piece of dialogue which encapsulates the ease with which the film and the characters bump across cultural and geographic divisions. Ayten is a fighter with an armed Turkish resistance group who has fled to Germany. She is befriended and then loved by student Lotte who in the end will do anything to help not only Ayten but the resistance as well, after Ayten is deported back to Turkey. The audience is warned of Lotte’s death at the beginning of the second act, again like Yeter before she appears on screen. 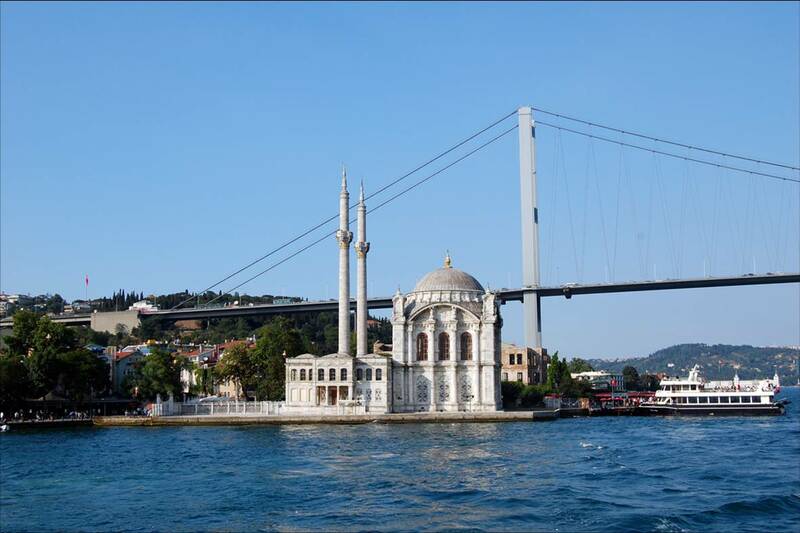 Lotte’s death leads her mother, comfy middle class hippy Susannah, to seek out Lotte and her cause in Istanbul. This plot, which relies on the coincidental interweaving of these lives, is tightly edited into a well-paced narrative. Each character has enough space to develop a credible relation to the plot but little back story. It is refreshing to let the viewer wonder how they all got to where they are without having any tortuous exposition ritual to fill in all the missing blanks. A film that brings together Turkish and German in this way innately has a political edge. Ayten is imprisoned in Turkey for her membership of the group and while in Germany she clashes with Susannah who sees her only as a person who wants to fight. Deportations, Turkish law and whether Turkey’s membership of the EU will make a difference are all present. The openings of the first two acts show political protest, the first in Germany and the second in Turkey. What makes this film engaging is that these incidents aren’t separated or above the story or the characters. They are a part of it. As a Spanish production team arrives, dreams of success infect the musicians. A wonderful sequence displays the variety of music in Havana as the musicians take the producers to hear garage, rap and a fabulous death metal band who sing about Cuban rebellion. 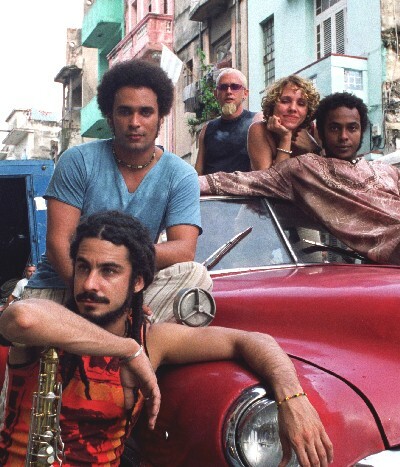 Comparisons between this film and Buena Vista Social Club are inevitable but inaccurate when one group sings “We black people got together and decided no more rumba.” The music is subversive, anarchistic and fiercely local. This is a slight plot but big chunks of bright and breezy music stop the film dragging. Superbly edited with a cracking soundtrack, this is a love letter to Havana, live music and enduring friendship.